“This court has given so much indulgence to you which no other litigant gets. Even then you say you are not being heard. This is just not done.This is the worst. If you don't pay the amount, you will have to go back to jail” : The terse message to Sahara Chief Subrata Roy from a new bench of Justices Dipak Misra, Ranjan Gogoi and A K Sikri. 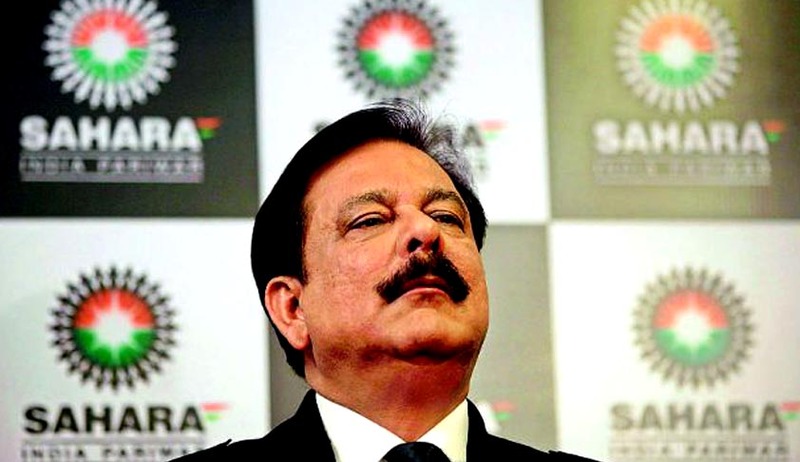 The Supreme Court today took a serious note of Sahara chief Subrata Roy’s plea for extention of time to deposit Rs 600 crore saying he would have to go to jail in case of a default and did not pay up by February 6. “This court has given so much indulgence to you. This is the worst. If you don't pay the amount, you will have to go back to jail, the newly constituted bench, comprising Justices Dipak Misra, Ranjan Gogoi and A K Sikri, said. Perusing the records to scrutinise repeated extension of Roy's parole, the bench said too much indulgence has been given to him, more than any other litigant by the court. “Parole is granted for a specific purpose and limited period. You were given parole for performing the last rites of your mother. But you have been out for nine months. The specific purpose is over and this is continuing, it said. The bench asked SEBI counsel Arvind Dattar what would happen if the Sahara chief does not pay the amount to the market regulator. Dattar said there were 87 plus properties which would be attached, a receiver could be appointed and the properties sold through auction, if the company fails to pay the amount. The bench said if he defaults to pay the amount then he will go back to jail, then properties will be attached, receiver appointed and sold through auction. Senior advocate Kapil Sibal, appearing for Sahara, said if this is the court's mood, then they may not be heard. It is the most unfortunate statement which has come. If this is the mood of court then we need not be heard, he said. To this, the bench asked can't the court say what are the options available before it. We are here to hear you Mr Sibal. Has not the Supreme Court given so much indulgence to you than any other single litigant? Now you are saying we are not hearing you. This is not done, Justice Gogoi said. “Today, the Hon’ble Supreme Court was pleased to allow our prayer for transfer of 35 million pound from London to SEBI Sahara refund account. However, Hon’ble Supreme Court did not consent for extension of time for deposit of Rs. 600 Crore. So the Sahara will now have to deposit on or before Rs. 600 Crore as directed by the previous order”. In December Roy told the court that the group was ready with a roadmap to deposit the remaining amount of Rs 12,000 crore in the SEBI-Sahara account by December 2018 to be refunded to the investors. “A road map has been shared with SEBI and amicus curiae Shekhar Naphade”, Sibal appearing for the group told the then bench headed by Chief Justice T S Thakur. Following this, the bench then continued with the interim bail and other arrangements granted to Roy.